Pumpkin City Family Tradition for Over 35 Years! 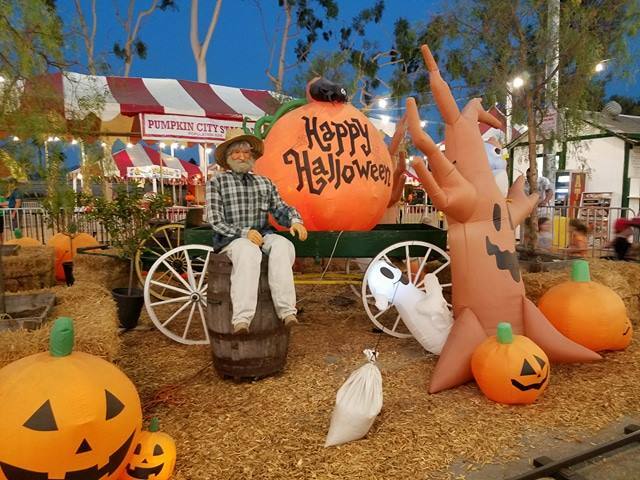 Have you been to Pumpkin City pumpkin patch in the Laguna Hills mall parking lot? 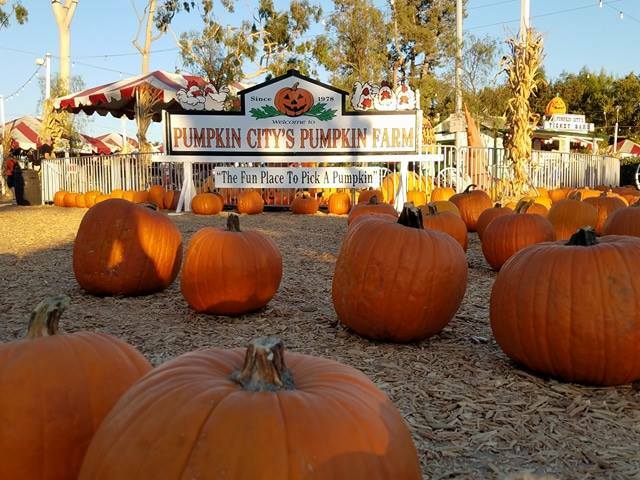 Pumpkin City's pumpkin patch has been in the same spot since 1978. My parents used to take my brother and I there, and now I take my own kids to keep the tradition going. 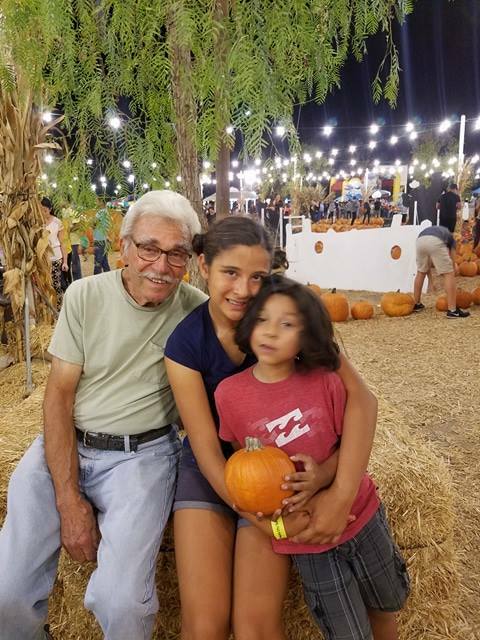 Thank you to Pumpkin City for the invite to experience one of our favorite Pumpkin Patches during a fundraising night! 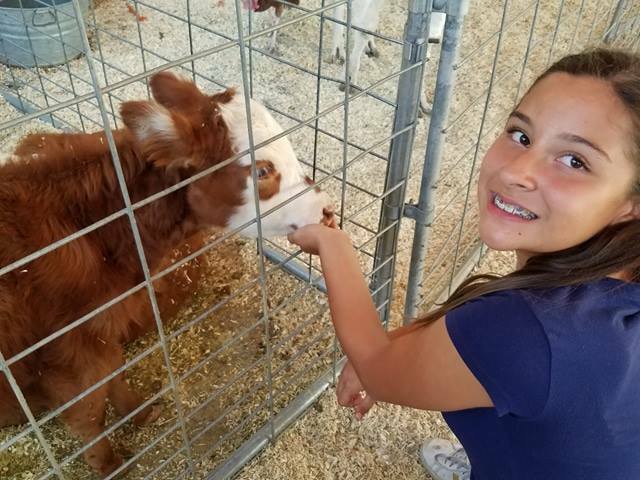 There is a lot of fun, things to see and farm animals to pet. 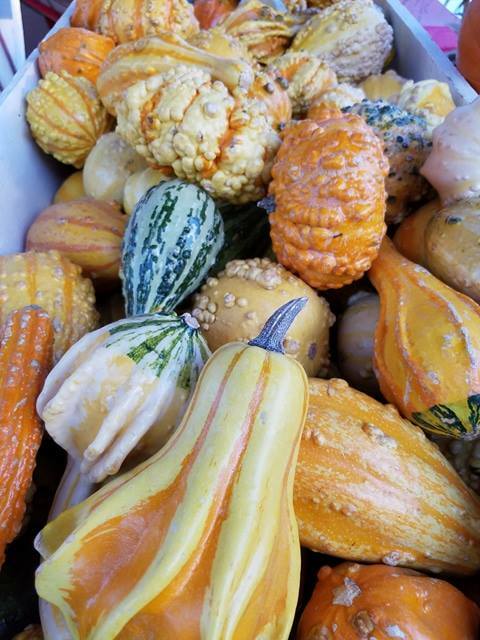 Oh, and of course, there are hundreds of pumpkins of all different sizes and colors just waiting to be taken home. 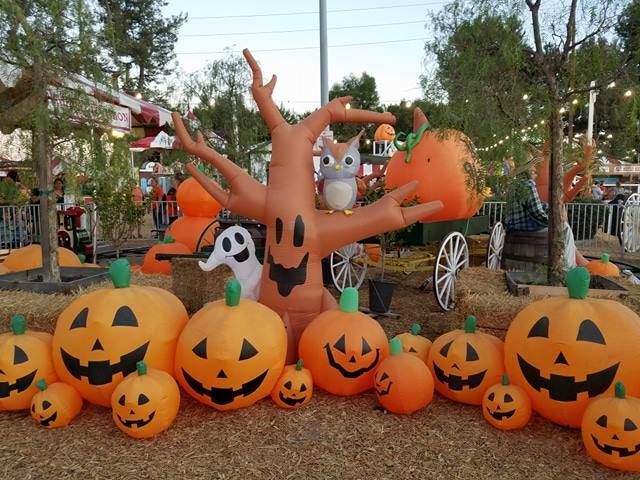 If you're having a Halloween party or any theme this month that needs hay bales or corn stalks stop by and pick some up at pumpkin City's pumpkin farm they are always on hand and make for great props. 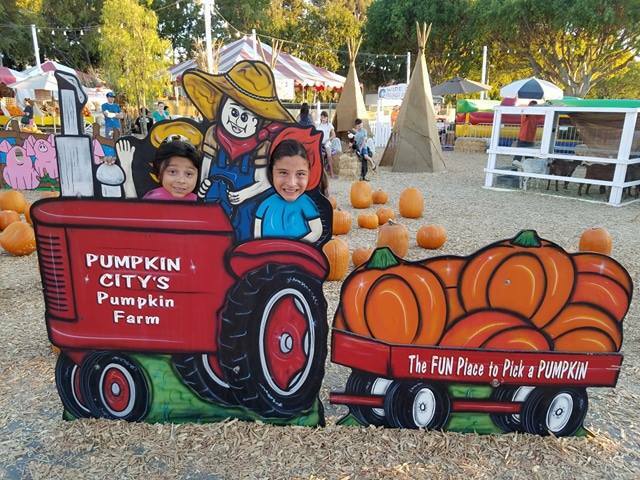 Probably my most favorite thing about pumpkin City's pumpkin farm is the way it is set up in a perfect circle with the pumpkins in the center and all the activities on the outside. 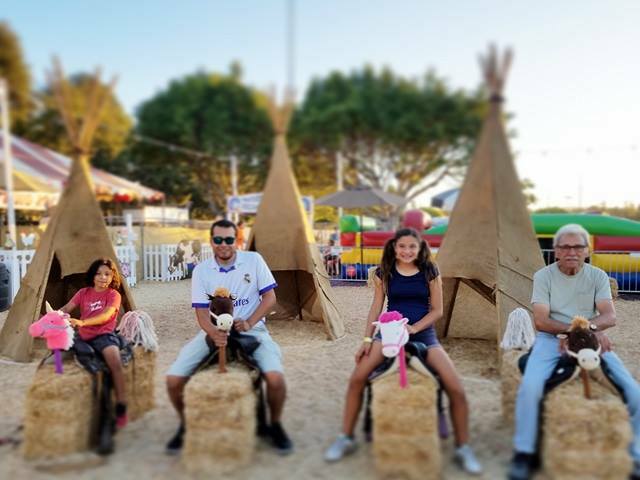 It is super convenient to navigate through and with plenty of space it doesn't feel overcrowded when it is a full night a families having fun and taking first time pumpkin packed pictures like we once did. We attended a School Fundraising Night! 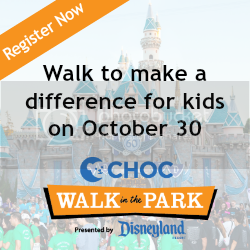 Schools can participate in this awesome give back opportunity. 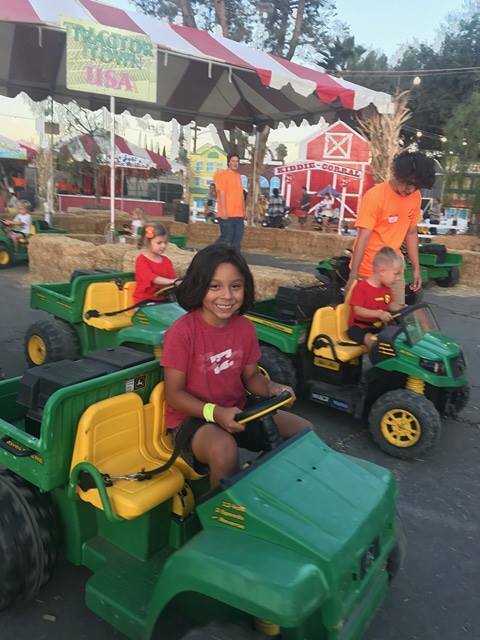 The cost of a wristband is $17 & with that each child gets unlimited rides, jumpers, and petting zoo from 3:30 to 830 pm. Best part is that $5 goes back to the school! 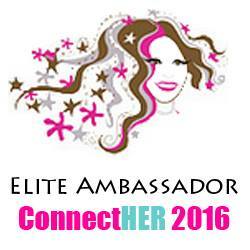 Get more info on the fundraising nights here. * Petting Zoo for my daughter. 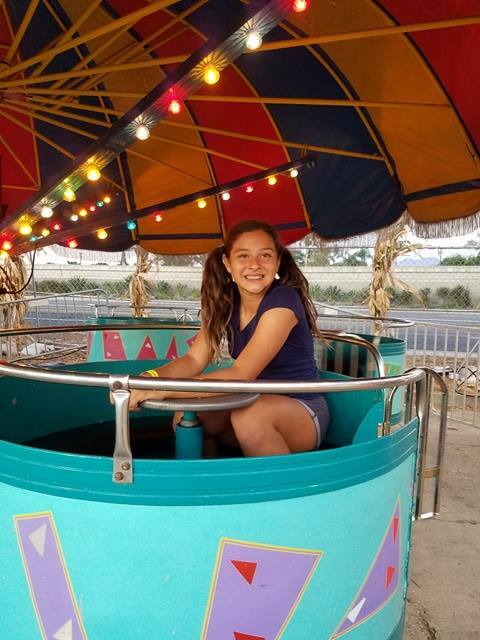 At 5' 5" tall she's not able to ride all the rides anymore. She rode the ones she could and surprisingly had to be pulled out of the petting zoo, chicken in hand, yes you read that right! I mean 1.5 hrs petting animals! * Rides for my son. He loved them all. He even made friends with other single riders and sat together for fun. Big deal for an autism win there! He repeatedly rode the ones he loved over and over. * Jumpers for both kiddos. They love the bounce houses. I mean really who doesn't!? What's nice is that there are a few spread out so that it's not over crowded for the kids. * Pumpkins!!! Seriously the variety is awesome. It's like being at their farm and searching for the one for you but... they are all around you. Different sizes and colors too! Some perfect for pies others for carving! * Photo Opps! From the traditional cut outs to the physical huge pumpkins there are so many spots to snap a pic. Both my kids have first pumpkin patch photos here too. It was an evening well spent of fun, games, traditions and laughs. What makes me smile is that we can share these memories with my dad too. 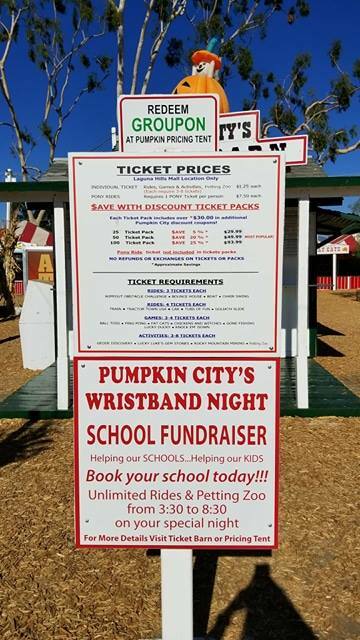 I hope you get to visit Pumpkin City this fall too and possibly take advantage of their fundraising nights Monday through Thursday! More details on the fundraising nights here and follow along on social media with #PumpkinCity.